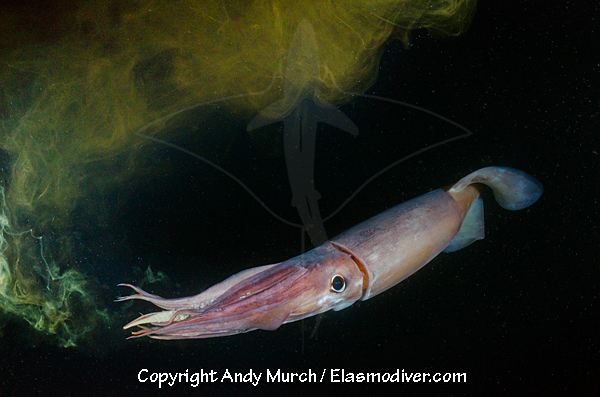 The Humboldt Squid (Dosidicus gigas) is a voracious predator that lives off the Pacific Coast of North and South America from Alaska to Tiera Del Fuego. It grows to more than two meters long and can be encountered in the Sea of Cortez during the summer. Humboldt squid are also known as red devils or diablos rojos. All of the octopus images on elasmodiver.com are copyright protected. No unauthorized use of these humboldt squid pictures is permitted. Please contact Elasmodiver for further information.